When you trust a recruiter to help you find a job, you’re putting a lot on the line. It’s often more than just your career– the right job can make you feel like a valued team player. The right job can help you grow and reach your goals. And of course, the right job can bring home money and benefits for your family. As a staffing company, we are well aware of the bad taste left behind from working with a “bad recruiter.” The good news though, is that for every bad recruiter, you’ll find even more who want to help you to succeed. At Alliance Solutions Group, we believe in unlocking unrealized potential– and with that comes some very high standards that we hold our entire team to. Here are some questions you should ask yourself to determine if you’ve found a trustworthy recruiter for your next job search. Does your recruiter count you as a body, or as a person? You will know right away if your recruiter is just counting you as another body in their arsenal. It’s important for a recruiter to understand what you’re looking for in an employer– the location, the salary, the culture, all the way down to your preferred management style. Your recruiter should place you in an appropriate position where you can excel, even if it takes a little longer or they have to work a little harder to find the right fit. A good recruiter won’t get caught up in the rush of needing to put bodies into unfilled jobs that aren’t the right fit. They should take the time to understand your strengths and weaknesses and be able to put you into a role that fits your criteria. If a good recruiter can’t find you the right position right now, he or she should tell you that directly. Simply put, do they treat you with respect? Do they return your calls and answer your questions, truthfully? Part of finding the right partner will be determining if they will treat your professionally and if the company they represent offers benefits that will work for you. A professional recruiter is upfront about your pay, benefits and future employment status. They give you direct answers to your questions, and under most circumstances, their story should stay the same. While you’re working on a short-term assignment for a recruiter, he or she should stay in touch with you to ensure you’re happy. A good recruiter should always have your best interest in mind. Is your recruiter actually helping you? One of the most beneficial parts of working with a recruiter should be that he or she is truly your advocate. From your initial interview all the way to extending a job offer, they should be on your side. 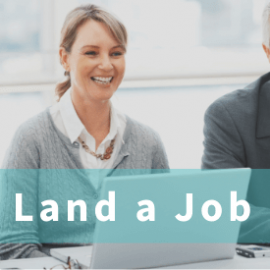 A good recruiter who is familiar with the company he or she is placing you with will likely be able to provide tips on how to land the job they are sending you to interview for. For example, they might know a specific question that the company will ask, or be able to recommend that you dress more casually for the interview based on their experience with the company. Your recruiter should also help you to negotiate your salary based on the expectations you set from the beginning. He or she should listen to your concerns, and give you the best professional advice with honesty. If your recruiter is doing all of these things for you, trust them to find you the best position available. This is their job, after all. What other factors help you to determine if you should trust a recruiter to help you find a new position?